An on hold message from Please Hold Marketing won’t ignore your callers, it puts that time to use telling your qualified customers about your business. Please Hold Marketing offers you selected music interspersed with announcements custom produced for your business. 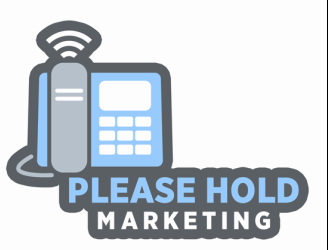 Please Hold Marketing has the employee that never takes a coffee break, never stays home, works through lunch, doesn’t know what a vacation is, and always has something interesting to say. Harry called his Honda dealership to get his car fixed. They put him on hold. They had the radio playing. A commercial came on for Nissan’s Altima. The longer Harry waited, the better the Altima sounded. Telemarketing Magazine - "Over 70% of business callers are put on-hold..."
OfficeTeam Survey - "The average executive spends 17 minutes per day on-hold..."
CNN Survey - "The average person spends 60 hours per year on-hold..."
CNN Survey - "Without music or messages, 60% of those on-hold will hang up and 30% won't call back..."
Cellular Marketing Magazine - "Over 85% of callers prefer on-hold messages over silence..."
Telemarketing Magazine - "Surveys show that 15% to 20% of callers make purchases based on information they heard on-hold..."